Here in The Kookey Chef kitchen we are all very excited. 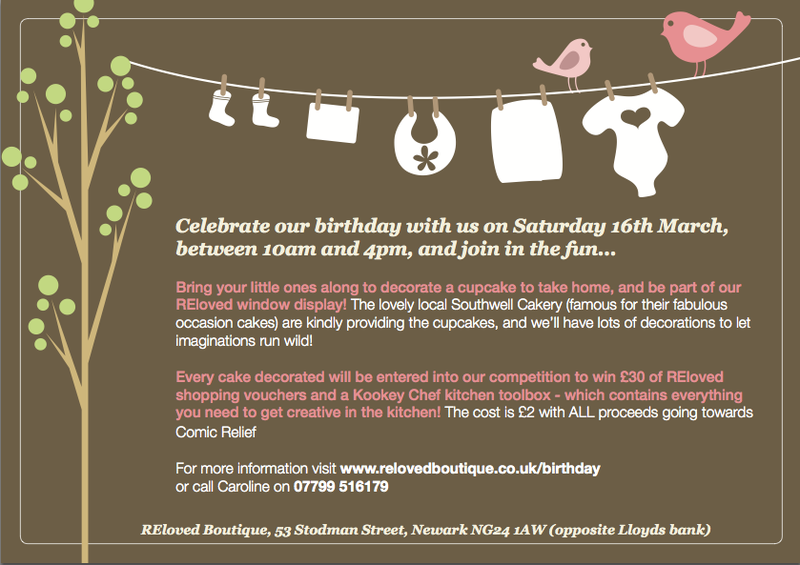 The lovely folk over at REloved Boutique have very kindly asked us to help them celebrate their 1st Birthday. They will soon be stocking our books, aprons and toolboxes from the 16th March. 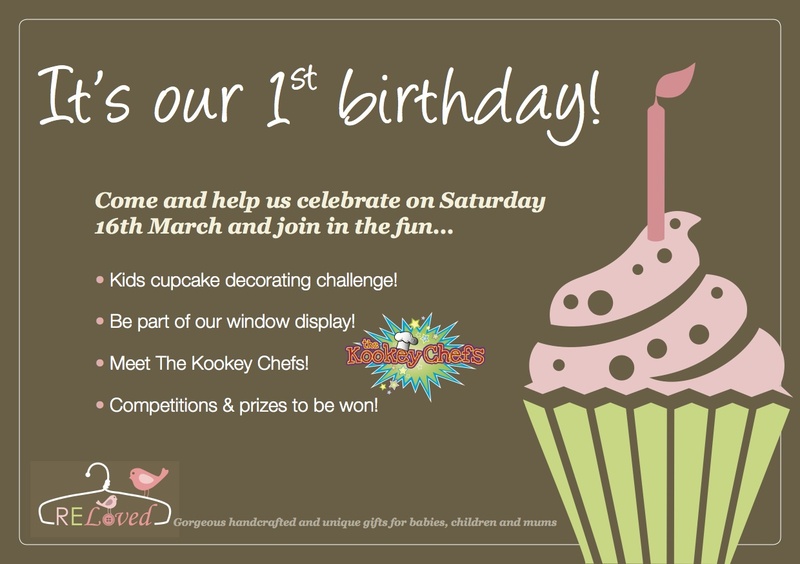 On March 16th, they will be turning their shop REloved into a cake decorating studio and giving little ones chance to get messy and decorate a cupcake for comic relief Check out the flyer below for all the details.